Rookie Brian O’Neill has been thrown into the first-team offensive line already because starter Rashod Hill has been limited due to an illness. 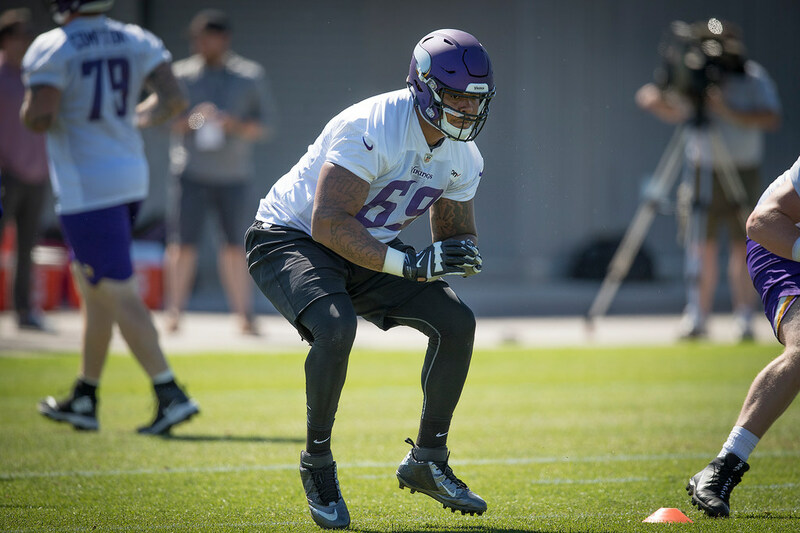 Rookie Brian O’Neill has been thrown into the mix with the first-team offensive line early in his first Vikings training camp, because starter Rashod Hill was limited due to an illness that has had him vomiting during practice. Hill tried to push through in the morning session, but was held out of Monday's afternoon practice in pads, the first of training camp. Hill, who started the final nine games last season at right tackle, has resumed his role as the starting right tackle throughout the spring and start of camp. Since Saturday, Hill has rotated with O’Neill to give himself a break since he can’t keep much food down. The third-year tackle had already dropped 12 pounds from last season, but he’s trying to guard against losing too much weight while sweating through practices.